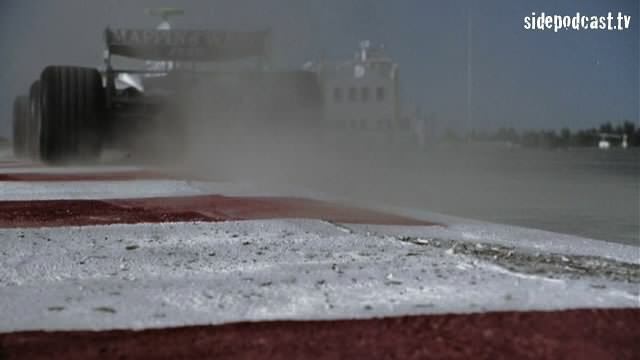 Formula 1 returns to Turkey much earlier in the season this year. In fact it barely feels like we've been away. This change of schedule is likely to cause problems for the teams, with reduced tyre temperatures being a significant problem. Join Sidepodcast as we look ahead to this weekends race, back at the events that unfolded last year and also catch up on the current state of the championship. You'll probably not be surprised to see Nico Rosberg turn up somewhere too. Additionally, this episode of Inside Track features special guest, and competition winner Scott Woodwiss, who does a sterling job of commenating on a hot lap around the Istanbul Otodrom. Special thanks to Allianz SE, Toyota Motorsports GmbH, Red Bull Racing, Honda Racing F1 and RTV GmbH for the use of their video footage and photographs.